MEBO will be holding this year’s annual conference on Saturday, April 14th, and the meetup throughout the weekend in beautiful Savannah, Georgia. The location of the conference is yet to be announced. Many of us will be staying at the Fairfield Marriott on Abercorn Street off I-95 South. Location of the conference and possible other accommodations to be announced. As the conference agenda is being drawn up, the theme of this event will be “Research”. The precise agenda is pending as we wait for the All of Us determination of whether NIH funding will be awarded for the research proposal, “Could Precision Medicine Initiative Reduce Social Inequality”, put forth by MEBO’s Scientific Director, Irene Gabashvili, PhD. If it is approved, supplies volunteer participants may need will hopefully be available to give out during the conference. Please let All of Us know you support this research award by clicking here to vote. Your vote could actually make a difference of whether we are granted this NIH research support. We will also be discussing the preliminary results shared with us by Danny Kunz and his research group in Germany, who have asked MEBO for volunteers to participate in their gut microbiome research. Ongoing discussion on their research can be found in their blog, Body Odor Research Blog. 3. More information about the All of Us research application put forth by MEBO’s Scientific Director, Irene Gabashvili, PhD. If you have not voted and commented yet expressing your support for funding consideration by the National Institutes of Health, All of Us initiative, please do so now at this site. You can do so anonymously. To vote, click here. 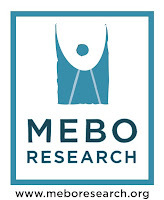 MEBO has been working with some labs in an effort to launch testing research possibilities. This is still a work in progress that I hope will be in place in time for the conference, but it is not yet guaranteed. More information to follow to be announced in this blog about the MEBO Conference agenda. Please stay tuned.